This is the average increase in sales you can experience once you convert to Lifestyle Express. Additional sales growth averaging 36% can also be achieved by further upgrading to Lifestyle Express Evolution. 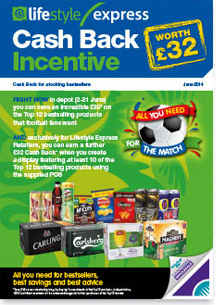 Lifestyle Express is the ONLY Symbol Group to offer you over £1,000 in Cash Back per annum. All you have to do is stock some Best Sellers and put up some POS from time to time. It’s a ‘no-brainer’. 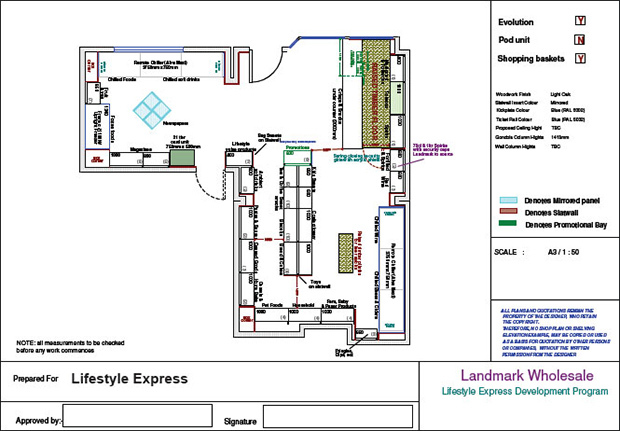 Your Store can be developed at two levels; Lifestyle Express and Lifestyle Express Evolution. 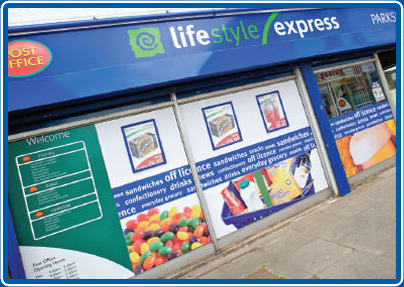 Lifestyle Express is our standard Store redevelopment package. 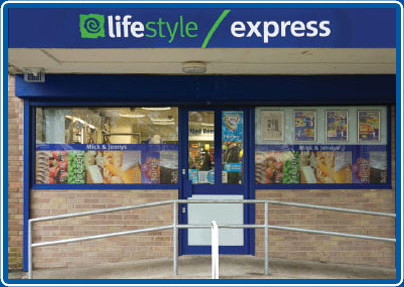 Lifestyle Express Evolution is a higher standard package to further improve your Store. Retailers can also opt to go straight for Lifestyle Express Evolution. 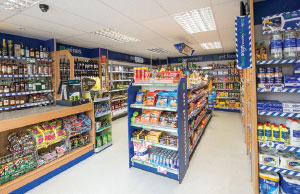 Our Retail Development Managers are experts when it comes to Store design and layout, they can help you to achieve the maximum sales per sq ft and the highest profits. We will supply internal and external signage and graphic packages that enhance the look of your Store and its Customer appeal. Our promotional packages will build your Business. We offer regular national and local promotional packages to enable you to compete with the best in your local area. 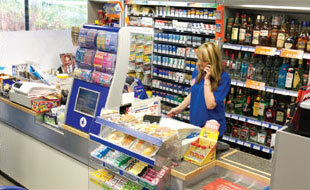 Take measurements of your Store to produce bespoke refit/merchandising plans. One of our Retail Development Managers will visit you to get a first-hand insight into your Business. He will work with you to develop a Business Proposal that will help you develop your Business and secure your future. And only when you are 100% comfortable with the proposal will we progress to the next stage. 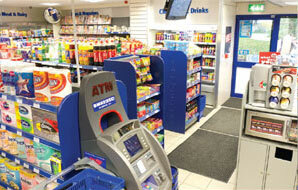 We can encourage new Customers to enter your Store when they may have previously walked past. 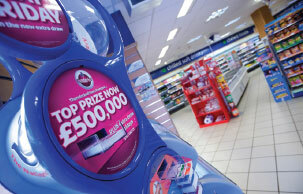 There are two levels of Store fascia & graphics on offer – Standard and Evolution. One of our Retail Development Managers will visit your Store to get a first-hand insight into your Business. During the meeting, our Retail Development Manager will collect relevant information and come up with a proposal which ideally suits you and your Business. This results in a bespoke design for your Store. Core Range Advisors are unique to Lifestyle Express. 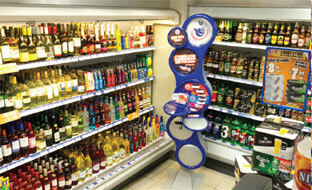 With their help you can ensure your shelves are stocked with Best Selling products. 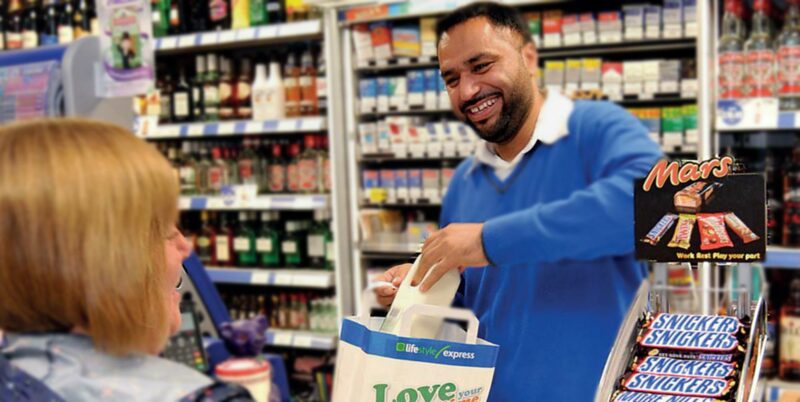 Every month, one of our Core Range Advisors will visit your store and check if you’re stocking the Best Selling products, thereby helping you to maximise your sales and profits. 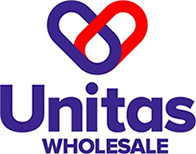 At the end of each Store visit they will leave a ‘shopping list’ aimed at helping you on your next visit to your local Landmark Wholesale Depot. The list highlights Core Range products across the Categories checked, which were not available in your Store on the day of the visit. After six visits they will have checked the entire Core Range. By using the ‘shopping list’ you can ensure you’re stocking exactly what your Customers want to buy and expect to find in your Store. Effective merchandising is fundamental to driving sales and small changes in your Store can make a big difference in your till. 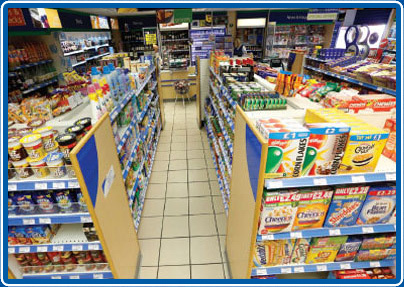 In any Business, it is absolutely essential to focus on stocking the products that sell the best. This is the CORE RANGE and is featured inside our Retailer Best Sellers brochure. All our Core Range Advisors’ recommendations are based on proven sales data. 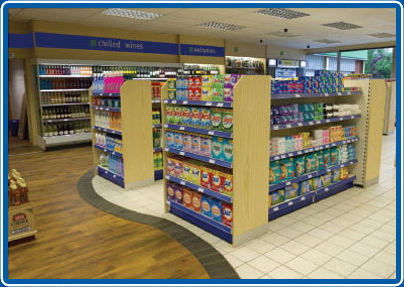 Following our Planograms will ensure your Store not only looks attractive but also maximises sales and profit opportunities. 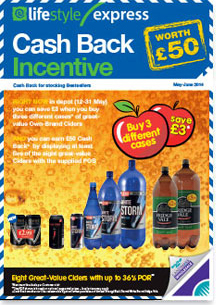 Throughout the year Lifestyle Express runs at least four Own Brand and four Branded Cash Back initiatives giving you eight chances to cash in! 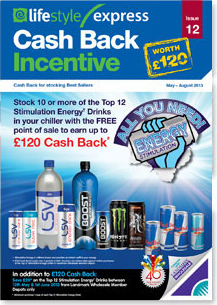 Over the last year, in excess of 1,000 Lifestyle Express Retailers have benefited from Cash Back vouchers. Becoming a Lifestyle Express Store was so easy. It’s free to join and you get great Retail advice to help get the most from your Business. I can stock the Lifestyle Own Brand ranges to match my fascia and new products are being brought out all the time. I’ve enjoyed over 30% sales increase since I joined, I still have my independence and best of all, they give me Cash Back just for stocking Best Selling products. Why wouldn’t you join Lifestyle Express? I can’t believe the difference converting to a Lifestyle Express Evolution Store has had on my Business! The Store conversion is everything I’d hoped for. I now feel my Store is complete and the footfall has increased markedly. My Store now stands out from the other shops in the area. Being a busy Store owner sometimes leaves me with little time to think about how the Store should look and how to plan its layout. As a Lifestyle Express Retailer I can rest in the knowledge that a team of experts is on hand to help. My Store looks great, my shoppers are happy, and it’s all down to the expert help and advice I’ve received from my Retail Development Manager. 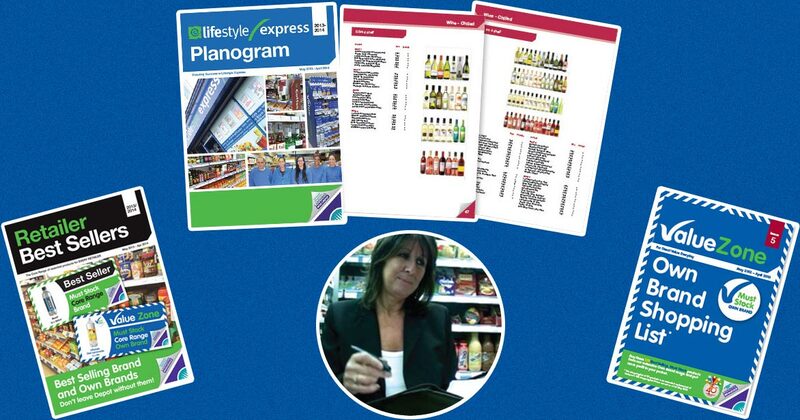 We’ve found the Planograms really helpful and they’ve made a big difference to our Business. By stocking the Core Range we’ve seen our profits rise and the help and advice we’ve received from the Core Range Advisors has been invaluable. I have Lifestyle above my door so I want Lifestyle Brands in my Store. My Customers expect this too. They can buy Own Brands when they go to the supermarket, so they should benefit from the same choice when they shop with me. Lifestyle Express offers Lifestyle Own Brand, but also Lifestyle Value Own Brand, which is the price marked economy range. 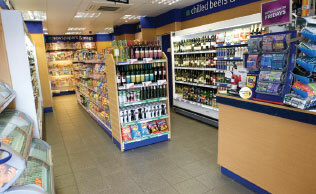 The range is constantly growing and as well as offering choice and quality, Customers benefit from the great value and and I benefit from the excellent margins. 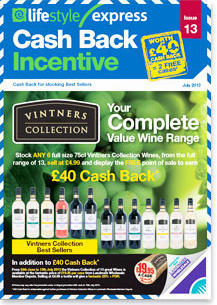 I’ve always found the promotions really helpful and they’ve always made a big difference to my bottom line. My Customers have got used to the regular promotions and I always need extra stock to cope with the increased demand the promotions create.